Mr. Alvey is a registered professional engineer with over twenty-five years in environmental assessment, remediation, and risk management; twenty years in environmental dispute investigation and management, including cost containment, liability assessment, settlement negotiations, and expert witness services. He holds a B.S. in Chemical Engineering from the Rose-Hulman Institute of Technology. He is currently a Vice President and Principal Engineer for Roux (1999-present). Mr. Alvey has conducted, managed, or overseen investigations and remediations at many sites located across the country. He has been a member of the ASTM Committee (E-50), responsible for the preparation of standards and guidelines for conducting environmental investigation, estimating environmental costs, and other environmental risk management issues for over 10 years. He has consulted on hundreds of environmental cost recovery disputes across the country and has been retained as an expert witness in 30 cases. 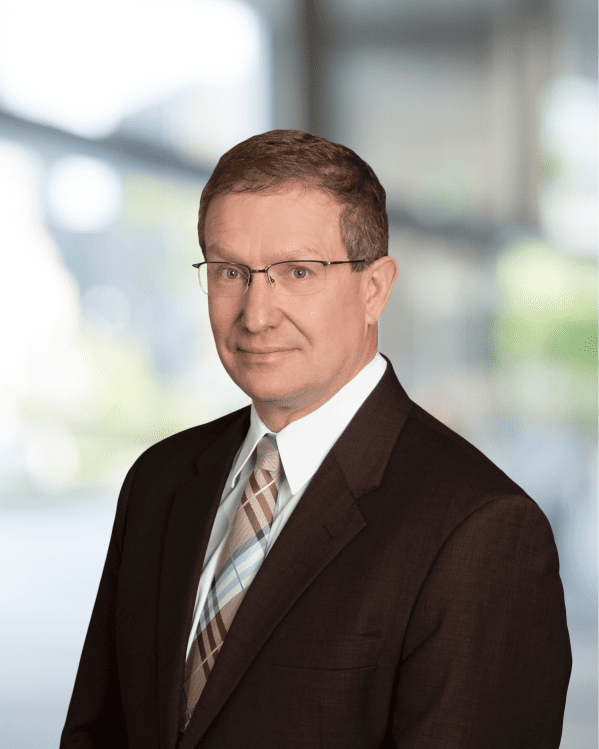 Mr. Alvey’s areas of expertise include timing and source of contamination; review of costs associated with investigation and remediation; allocation of cost to different time frames, parties, or sources of contamination; and the defense of environmental consultants. Provided on-site management of decommissioning of steel manufacturing facility in the Midwest. Activities included cleansing of PCB-contaminated equipment and structural steel, design and operation of a wastewater treatment system for remediation generated wastewaters, and oversight of asbestos abatement activities. Provided on-site project management for decommissioning and demolition of a manufacturing facility in the Midwest. Activities included removal of hazardous materials, UST removal, transformer removal, and asbestos abatement. Completed PRP allocation project at Superfund site in Midwest for the USEPA. Activities included review of waste-in documents including loading tickets and invoices. Determined PRP allocations based upon waste-in volume and toxicity of materials received. Cost analysis expert for insurance carriers on multiple claims nationwide. Activities involve review of technical reports and correlation of claimed costs with site activities. Have reviewed over $3 billion in invoices and generated reports placing costs into categories as defined by counsel. Typical categories include investigation, remediation, on-site, off-site, undocumented, and costs unrelated to the environmental activities at the Site. These projects have been performed in both a consulting and expert testimony capacity. Consulting expert for insurance carriers in settlement negotiations in claims related to over 1,000 individual manufactured gas plant (MGP) sites nationwide, including several dozen in Illinois. Provided expert reports and assisted in settlement negotiations. Provided independent estimates of future costs analysis of potential natural resource damage claims and opinions on the appropriateness of past expenditures. General Electric Company v. David E.W, Lines, Christopher Hughes and Peter C.B. Mitchell as Joint Liquidators of Electric Mutual Insurance Company Ltd and OneBeacon America Insurance Company (2010) Commonwealth of Massachusetts Suffolk County Superior Court, Expert Report, Deposition, Settled Prior to Trial. Bank of New York, et. al (Plaintiffs) v Morgan Stanley (Defendant) (2012) United States District Court, Southern District of NY Expert Report, Deposition, Pending. City of Canton, Illinois, (Petitioner) v. Navistar, Inc. (Respondent) (2013) American Arbitration Association-Commercial Division Case No. 1-125-1528-09 Expert Report, Deposition, Testimony at Arbitration. Tennessee Valley Authority, (Claimant) v. Zurich Insurance Company-Bermuda Branch (Respondent) (2014) Arbitration Act 1996-London, UK Expert Report, Testimony at London Arbitration. Employers Insurance Company of Wausau (f/k/a Employers Insurance of Wausau, a mutual company, et al.,) (Plaintiffs) v. Klinke Clothing Care Corporation, d/b/a Klinke Cleaners, et al., (2014) State of Wisconsin Circuit Court for Waukesha County Expert Report, Settled Prior to Trial.